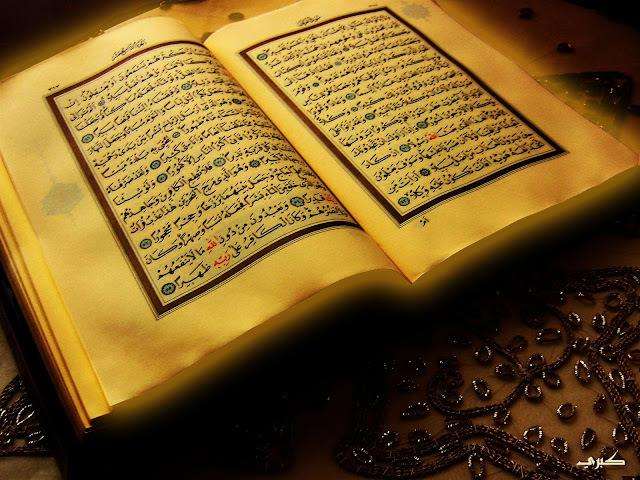 Why Qur'an is Revealed? What Allah Says in the Qur'an? The unprecedented attack by the godless, wealth-worshiping, greedy and oppressive colonialist European forces and its hegemony over every part of the globe had an extra-ordinary impact on the Muslim lands and life. For the last hundreds of year or more, the traditional lives of Muslims have been under tremendous attack both from inside and outside, their religion and their religious laws, their way of understanding and practicing Islam was not only destroyed forever but also transformed in a mysterious way. This trend continue in our days and has taken a new turn in recent time in post 9/11 world reality. War on Terror, al-Qaeda, ISIS and economic sanctions are some of the outcome of this phenomenon. Perhaps history's greatest scholar of Islamic Eschatology ('ilmu akhiruzzaman), Sheikh Imran Hosein's lecture titled Mysterious Transformation of Muslim World in Past 100 Years is a very important take on this subject where he highlights how this mysterious transformation has occurred. You may watch this lecture via YouTube here. One of the arena in which this attack was quite effective and perhaps had the most powerful impact is the area of disconnecting Muslim from the Qur'an, the Final Revelation and Law from God to mankind. 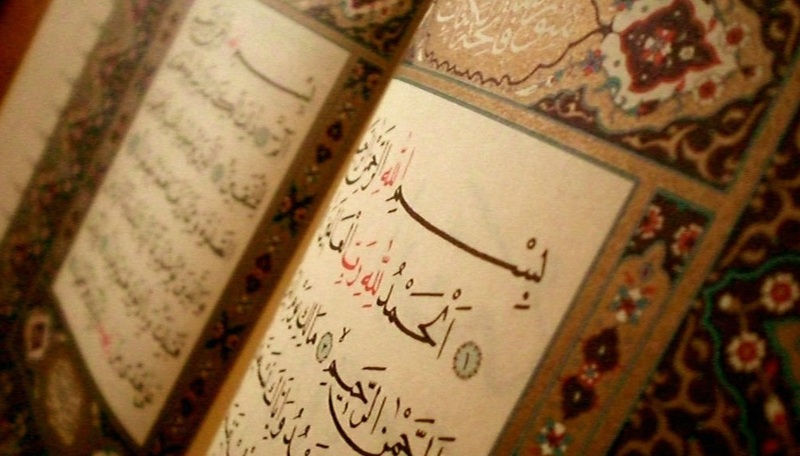 Qur'an is the core of Islam, it is the Final Revelation until the Day of Judgment, a Book of Law, a Book of Guidance, a Book of Solace, a Book that guides to Right and points to Wrong, a Book that reveal Divine Will, a Book of Wisdom for humanity, a Book that support Previous Revelation and renews the Laws of Abraham, a Book of Criterion, a Book of Constitution and a Book of Mercy and Healing. And yet, this mysterious transformation of the Muslims manage to deceive the Muslims in such way that now majority of the Muslims have not read the book with understanding, those who are literate haven't read it cover to cover in their mother tongue, they no longer ponder on it, no longer feel its as a book that guides both individual and community, no longer turn to it for guidance. As a result it has been very easy for those who wish to control and deceive Muslims to make them turn their back on this Book. It is a clear betrayal to God, a blasphemy in its clearest form for Muslims. As a result Muslims across the globe, no exception whatsoever, now accept haram as halal (like interest based banking, secret ballot voting system, bogus paper money or currency with no intrinsic value and secular laws written by man replacing Laws given by God) without even realizing that this is blasphemy (shirk) in the eye of God. The result is plain and clear. Muslims are oppressed, controlled, the natural resources under their land is now looted, they are drowned in haram, they no longer honor the Law of God and communicated by the Messenger, poverty is everywhere, paper money creating massive poverty and oppression, they are now ruled everywhere by political prostitutes whose qibla is Washington and London, they no longer understand that Islam is not a just private religion but also religion that guides socio-political-econmic structure of society. And yet Muslims have let go of the Qur'an. The false scholars of Islam with deficient understanding of the Deen, who are also manufactured in the madrassa factories created by those colonialists as well have misguided and been misguiding the Muslims on behalf of their masters in London and Washington and Riyad. Qur'an was meant to be read with understanding. There can be no doubt about it. Those who have not yet grasped the basic understanding of Quranic Arabic (which is classical Arabic) should and must read the Qur'an in a language that they understand. Failing to do so only keep people in dark ignorance and keep them from receiving the Nur of Allah for guidance, mercy, healing, ability to recognize right from wrong and much more. Only less than 15% of entire Muslim population are Arab, rest are Non-Arab and hence Arabic is not their mother tongue. Most of these Muslim make sound from the Qur'an but totally neglect its meaning, its guidance, its advice and admonishing, its warning and its guiding light (nur) and what is very strange is that the so called religious authority actually keep encouraging them to remain in ignorance about Qur'an and keep babbling and thus prevent them from the Path of God. This Ramadan the author of this article took a personal project to read the Qur'an cover to cover in his own mother tongue. Yes it was a translation but the effect was amazing. Qur'an is a very interesting Book. Its meaning has to be understood as a whole, it has to be understood with system of meaning - ie. in totality, not in isolation. Only when one read cover to cover with understanding, this system of meaning can begin to apply. While reading the Qur'an the author took note the individual revelations (Ayah) where Allah clearly mentions why Qur'an was revealed and for whom. Here the author is sharing those Ayah or Signs / Verses of the Qur'an which will make it clear to every reader that Qur'an was not revealed for parrots to recite it mechanically, it was not revealed to simply force memorize on Children, in-fact if Prophet (s) was alive he hardly would approve the force memorization of Qur'an upon children as young as four, five or six years old. Thats not Sunnah, thats not his practice. Qur'an was not revealed to be kept as decoration or to be read to the dead. 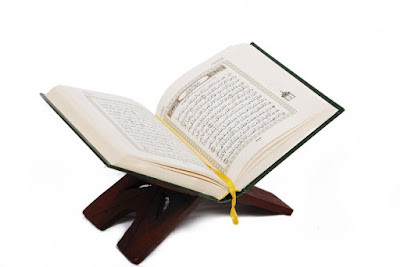 Qur'an is a Living Book by God Who is Every Living and Who never Dies to Guide the living people. If anyone read the Qur'an cover to cover with moderate amount of attention, he or she will have a very clear idea why Qur'an was revealed. The author urges anyone who is reading this to pick up a good translation of the Book and read it cover to cover in a language which is most near to them in terms of understanding. Here are the list of Ayah the author came across during his reading of the Qur'an during this Ramadan of 1436 Hijri. May Allah illuminate our mind and heart so that we may be guided to the right path. Qur'an is Guidance and Mercy. How Can Guidance Be Received Without Clear Communication of What is Revealed? Allah has repeated the same verses 4 times in the same Surah to wake us up and still we are deep in slumber. Qur'an is Meant to Give Good News to Pious and Warn the Deniers of Truth. How Can one Receive that Without understanding What is Communicated? Allah Ask Us to Pay Attention to the Signs mentioned in the Qur'an which are Clear / Manifest / Profound. Can anyone pay attention if they don't even get the literal meaning, let along ponder deeply the many layers of inner meanings? Qur'an is a Warning and Admonition. How can one receive that without understanding what God is admonishing about or warning against? Technology of the Heart: Why Qur'an is Revealed? What Allah Says in the Qur'an? What Does Qur'an Say about its Purpose of Revelation? How Must Correct it is to Just Make Sound from the Quran without Understanding it At All? Isn't that What Babbling Means?